Before founding his own office in Carroll, Dr. Christensen studied at Northwestern College of Chiropractic and completed multiple clinical internships throughout the Midwest with emphasis on family practice, women's health, pediatrics, sports medicine and rehab. He later completed his acupuncture training through New York Chiropractic College and obtained his acupuncture fellowship through the International Academy of Medical Acupuncture. Prior to relocating his practice to Iowa, Dr. Christensen served the communities of Western Nebraska for over twenty years. He served as President of the Nebraska Chiropractic Physician's Association for two years and was named "Chiropractor of the year" in the 2011 by the NCPA for his excellent clinical experience and leadership. He continues to serve on the Secure Care of Nebraska board of directors. Secure Care is an independent physician's association which manages physical medicine in 16 states across the United States. An accomplished public speaker, Dr. Mike has appeared at many events related to health and wellness. 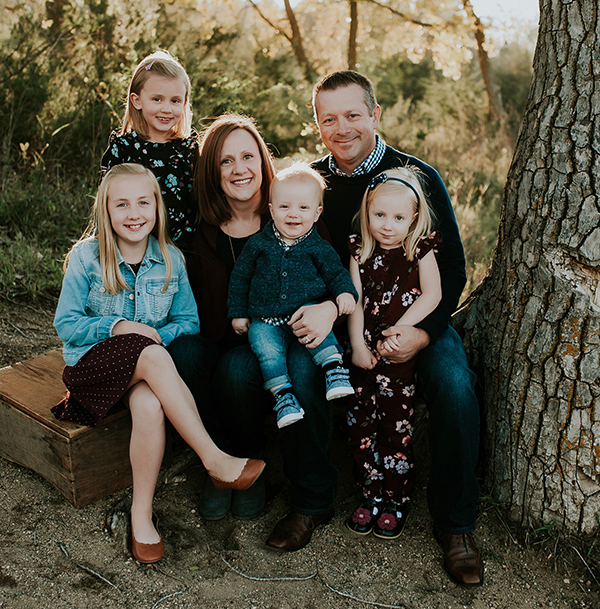 Outside of the clinic, Dr. Christensen enjoys all things outdoors and is an avid pilot, bicyclist, amateur radio operator and loves to spend time with his wife and four wonderful children. The Christensen Chiropractic Clinic offers far more therapy options than most chiropractic offices. In addition to chiropractic adjustments, we provide acupuncture, rehabilitation and stabilization protocols, manual tens therapy, and lifestyle counseling. Treatment plans are developed for each individual patient and are broadly divided into relief for acute pain, corrective care to address underlying conditions, and wellness care to improve health holistically. Specialties include family wellness, sports injuries, pregnancy and women's health, pediatric chiropractic care and physical rehabilitation. Our team uses several techniques for spinal adjustments, including Manual manipulation, Thompson drop and Activator methods, and soft tissue techniques. We work with patients to select the best technique and level of force for their pain and health goals. Our office's other services can be used in addition to chiropractic care, or as their own treatment regimens. These services include acupuncture, tens therapy, which can help control overactive nerves, counseling on diet and exercise to help create a healthier routine, and cold laser therapy. We work hard to keep abreast of the latest advances in pain management and alternative medicine and bring our patients the most promising treatments for their unique conditions. Call Christensen Chiropractic Clinic Today To Schedule an Appointment! Christensen Chiropractic Clinic is located at 504 North Clark Street, Suite #2, in Carroll, IA. The office is open from 8:30 am to 4:30 pm every Monday through Thursday. To schedule an appointment or learn more about our services, call us today at 712-775-2777.